This concentration of spending raises serious questions about proposals to curb healthcare expenditures by turning healthcare into more of a consumer market. The idea is that savvy consumers, when faced with part of the cost of their care, will be stingier about using medical resources. 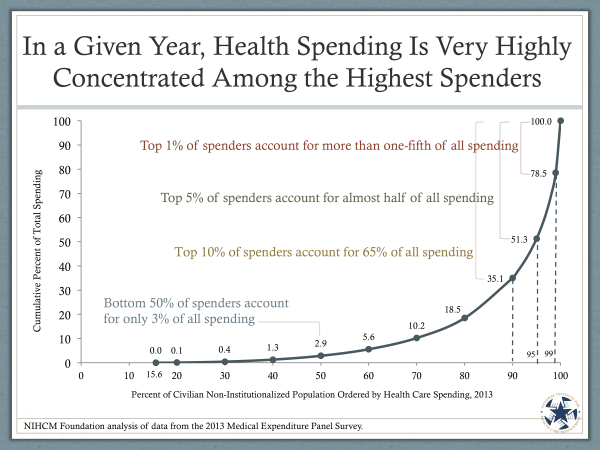 With so few people spending so much money, all of whom will have met out-of-pocket maximums, it doesn’t look like healthcare consumerism is going to be the cure-all for our spending ills.